The cake is amazing!!! Everyone couldn’t believe it ... and it was equally as delicious. Thank you!
" Louise, You made an awesome impression on the neighborhood. The fundraiser and the fire education component went really well. Thank you again for helping with this event and hope to invite you to future events." "Thank you, thank you, Brianna loved her cake, and everyone at her birthday celebration was raving about how fabulous her cake and cupcakes where .. thank you for making her birthday celebration more magical"
"Louise, the cake was phenomenal!!!! My parents thought it was the most beautiful cake they'd ever seen. We ate the top tier and it was delicious. Thank you so much again for making last night so special." "BEST. CAKE. EVER. Lovely woman, amazing cakes! Not only incredible to look at, but simply delicious!!! Louise Sandy is the magician of cake design hands down! You WILL NOT be disappointed!!! She's also lovely and great to work with!!!" "Really fantastic and absolutely recommended! 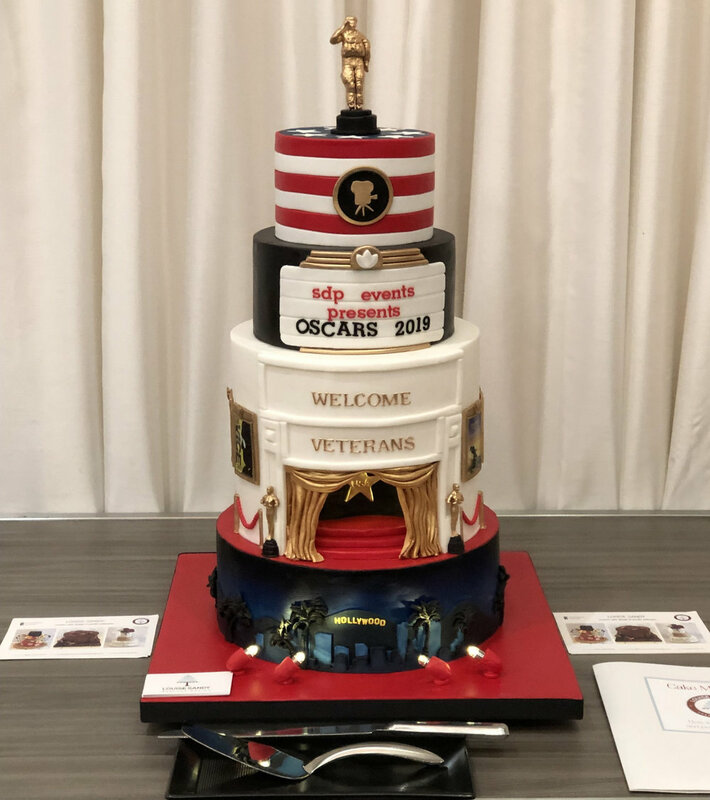 We had some very specific cake needs for a few corporate events, and after calling all the nearby bakeries and completely striking out, Louise was not only able to deliver exactly what we needed, but was incredibly enthusiastic and accommodating throughout. And of course the cakes themselves were really delicious. Everyone on the team has been raving about them and always looking forward to the next one. We couldn't be happier!" "OMG, as good as is gets. Right from the beginning we knew we had struck gold. Not only was Louise incredibly accommodating, but she immediately put my fiance at ease, and gave us the confidence that she was both willing and capable of creating the unique design we needed. After visiting her site and seeing the incredible designs she had made in the past, we were certain she would do an incredible job for us. And she did not disappoint!!! Our triple layer cake of salted caramel, chocolate & raspberry, and vanilla & rosewater was not only visually stunning but unbelievably delicious as well. I believe the wedding cake is a defining moment of any wedding, and with Louise's help, ours was a smashing success and an omen for a long and happy marriage." "Thank you so much, words can't express how happy you made Brianna with her amazing cake and cupcakes - looking forward to ordering more cakes..."
"Louise, we can't thank you enough. The wedding cake you created for us was a true work of art! It was fun and creative and captured how much Barb and I love the ocean! Thank you so much. It was such a hit with everybody there. "Look....it made it! My sister cried when she saw it. 🐳 Louise, people were fighting over the leftover cake!! It was so moist - I had the vanilla (lemon had been eaten up!) and I snuck back for a second piece myself! Thank you!" "Louise, your cake was such a hit! Our server at the restaurant asked me if "Cake Boss" made it! Of course I said yes, because obviously you are a BOSS! It tasted amazing too!" "I was in need of some sweets delivered to the Palisades area and was lucky enough to find Louise Sandy Bakery!!!! I ordered two dozen cupcakes (Salted Caramel and S'mores) and she delivered to two different locations for me. All I can say is WOW!!!! Not only were they absolutely beautiful but they were so delicious and moist! 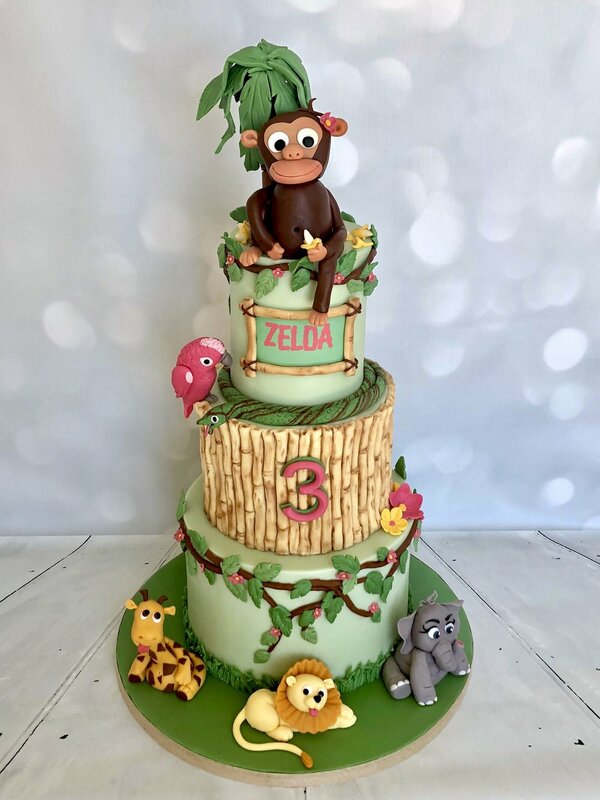 Super pleased with the order and everyone said they were some of the best cupcakes they'd ever had :)"
"Louise makes the most amazing cakes I have ever seen and tasted, from the first time I've ordered we have never been disappointed, she makes the cake come to life in the most magical way. My daughter is in love with her creations. Her cakes are always a hit on our birthday celebrations. You give her an idea of what you want and she brings it to life." "I am soooooooo bummed that you are moving out of the area! You are my most favorite baker of all time! I can’t begin to tell you how many times I tell people about you and all of your wonderful confections…." Is it poor form to take a small slice out of someone's birthday cake before their party? In all seriousness, this cake looks fantastic and I cannot wait to eat it. Thank you again for all of the time and effort that you clearly put into making this for her - she is going to be so excited!" "Louise you captured me so well! So many little things like my Pom- Pom colors of college, my garden, my dog, my porch, SheRocks and of course wine! The detail was absolutely amazing! Everyone couldn't believe how great it tasted too! Not one piece left! Thank you! You are amazing!" Thank you so much Louise! Everybody LOVED the cake! It looked exquisite and both flavors were delicious! "Thank you so much! The party was amazing, the [artist’s palette cupcakes] were a hit! Thank you so much for the last minute order, everything was a success!! "I wish I had video of the shocked and amazed faces of my boys and their visiting cousins when I showed them the cake. Tom's jaw literally dropped! My nieces said "are you kidding me right now!" Which I guess is teen-age girl speak for "WOW!” So adorable." "Louise - the whole of Chiswick mourns your absence. Mind you, we are all a lot thinner! You are definitely the best cake-maker/patisserie chef I have met in the 15 years of having my shop, and we truly miss you and your cakes - I'm still trying to find a cake-maker to equal you…"
"What a great night it was capped off with these special 'sons of the big one' cupcakes. They were a hit and quite delicious. Thanks again." Best chocolate cake EVER!!! unanimous vote!! Thank you! "The cake was a huge hit. Delish! Thank you. Look forward to ordering more from you in the future for our special occasions." "I think your brownies are out of this world, your cappuccino cupcakes are like drinking a fresh cappuccino and perfect for dessert after every dinner; your cookies are always a hit no matter who has them; your chocolate birthday cake got about 20 compliments and there were only 21 people at the party - one took off early and missed out on the cake. Everything I've ever had is to die for. Thanks for always making everything last minute too, Louise!" "The cupcakes and brownies you baked for our engagement celebration were truly the highlight of the day! They were absolutely delicious and perfectly reflected the theme of our party. We had so many compliments from our guests and look forward to more of your delicious creations in the future!"